Our Scooter Rack is designed to accommodate up to 7 scooters entering from either side. 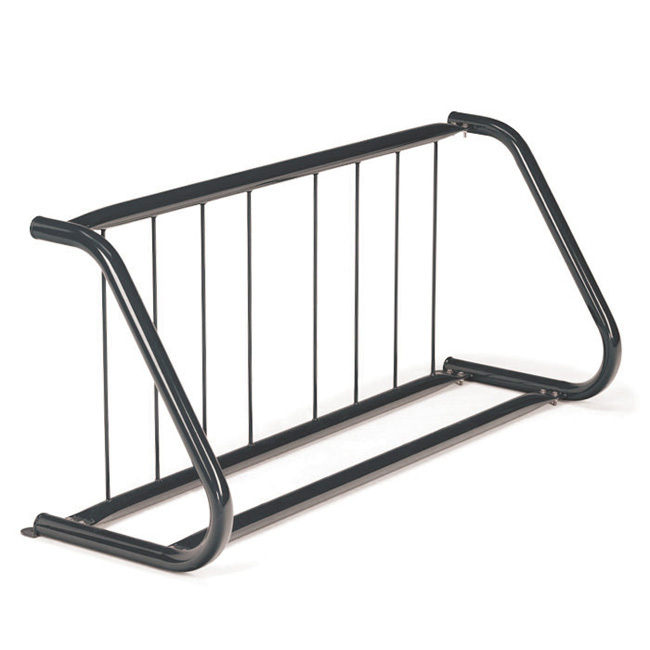 The rack can be permanently ground secured with the predrilled mounting tabs welded at the base. Extra wide spacing between upright posts allow for handle bars to be placed side by side and for a variance of tire sizes.